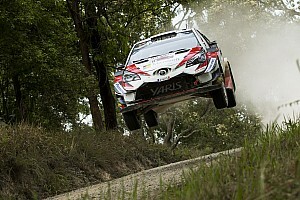 Toyota driver Ott Tanak says he is "taking more care" and avoiding "unnecessary risk" in a bid to turn around his fortunes and win a first WRC title this year. 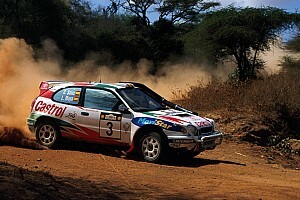 Group B was the World Rally Championship's most famous era and produced the most spectacular cars. Hyundai driver Thierry Neuville took a dramatic WRC win on the Tour of Corsica as Elfyn Evans' M-Sport Fiesta suffered a puncture on the final stage. 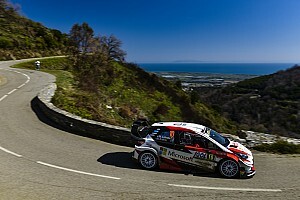 M-Sport WRC driver Elfyn Evans has grabbed the lead from Hyundai's Thierry Neuville as the Tour of Corsica lead changed again on Sunday morning. Toyota WRC driver Kris Meeke has issued a public apology to Citroen for allegations that it had influenced a stage stoppage on Rally Mexico.